Find the storage solution which best adapts to the specific needs of the client. This is AR Racking’s main goal during the project planning and design phase. Therefore, it has a highly-qualified technical team in charge of anticipating the needs of every project. This team works at a technological center located in the AR headquarters. 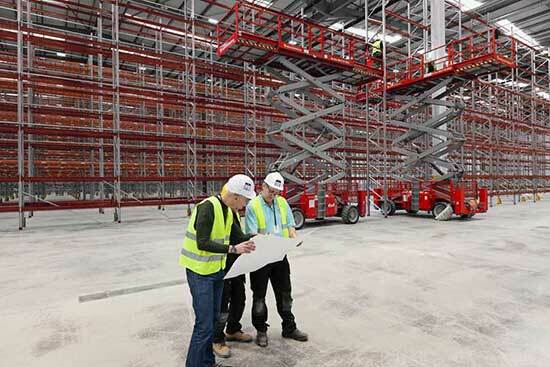 The AR Racking technical team starts by analyzing the client’s load needs and then identifies the storage system most suited to meeting the client’s needs. Next, the engineers analyze all the environmental parameters, that is, relative to the area where the structures are to be installed, such as seismic activity and meteorology. Finally, where applicable, they integrate the different systems into one to guarantee optimum performance. Study of the client·s needs. Identify the most appropriate storage system. Integrates the different systems into one.